John Aubrey is not primarily known for his publications, but for his manuscripts. This is often seen negatively, as a failure to print. 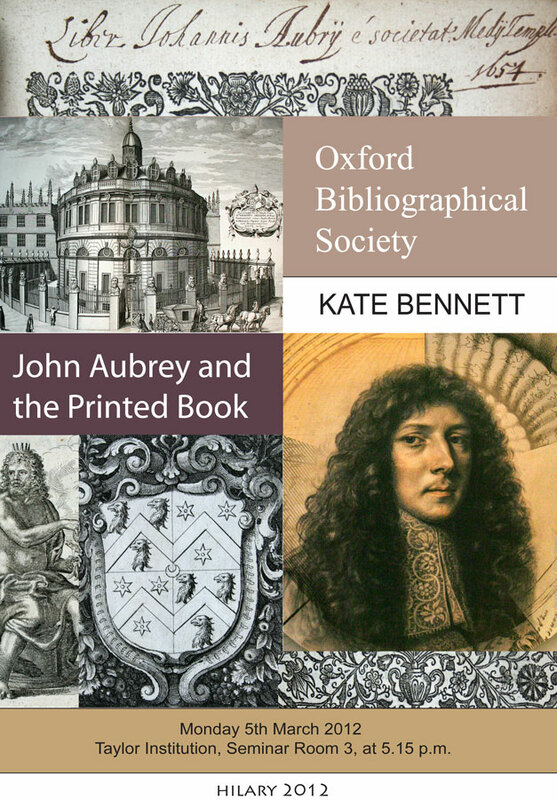 In this lecture Dr Bennett will explore Aubrey's complex relationship with print, through a discussion of his library, full of annotated books, his relations with publishers, his interest in bibliography and the history of the book, and through the libraries of others which he consulted. The speaker will also examine Aubrey's relationship with the books of those with whom he collaborated, including Anthony Wood and Robert Plot. She will consider how Aubrey balanced print and manuscript as a way of avoiding the risks involved in printing modern histories and lives; and, ultimately what the printed book meant to him.